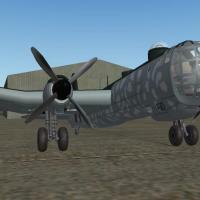 This is a mod of the He-177 by Veltro2K, only for WOV/WOE/WOI level 08 install. It's the A6/R1 variant or something close to. Read the readme, there's few things to know about.